Members of the Kennett Square Borough Council and Mayor Matthew Fetick stand with representatives from the Advisory Commission on Latino Affairs after the council voted unanimously to approve the proposed anti-discrimination ordinance, Monday night. KENNETT SQUARE – Emotions ran high during Monday’s packed meeting of the Kennett Square Borough Council at Red Clay Room of Kennett Fire Company, as the council heard comments from borough residents both in support of and against the proposed anti-discrimination ordinance regarding employment, housing, and ownership of property in the borough. The council voted unanimously to approve the ordinance, and Mayor Matthew Fetick said he would sign it into law that evening. Borough Council President Danilo Maffei opened the meeting, and the entire council was present. Immediately before the meeting, the council had held a private executive session regarding a potential land development issue. A packed house — largely in support — heard comments on the ordinance, Monday night. Carlos Navarro said, “There is fear in our community for different reasons. We need to feel protected by the authorities. We live in difficult times, and we need to know that we have friends here, not only bosses. We came to work here. 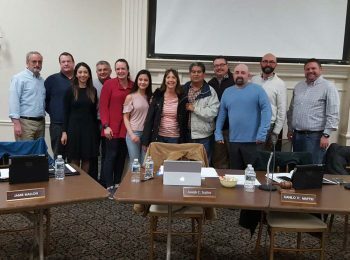 We need to have people see us as human beings, not criminals, not persons doing wrong.” Laura Gonzalez, a resident of Kennett since 1993, noted in her comments that while there have been improvements against discrimination in the borough, there is still a long way to go, and that is why she applauds the initiative and volunteered to help facilitate cross-cultural education. In her comments, Priscilla Roberts said that approval of the ordinance would create more work for the borough manager’s office in the event of possible lawsuits that may arise in the event of future discrimination. John Thomas said during his remarks that the ordinance is not clear enough to protect both sides. Charla Watson commented, “It’s not one group that’s discriminated against, there are all type of people that are discriminated against. It’s universal for anybody who has an issue.” She added that federal and state guidelines are already in place to cover the law, and that the council should allow those guidelines to handle making decisions on discrimination cases. Council member Wayne Braffman closed the public comments by reading a statement from Rachel Stevenson, the founder and president of the LGBT Equality Alliance, in support of the ordinance. After a few additional comments from other council members, the ordinance was put to a vote and passed unanimously. 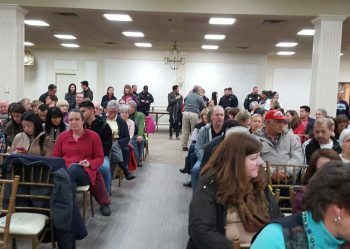 Most of the assembled crowd of more than 100 people left the meeting after the vote, and the council moved on to discussion items, including a request from Kennett Fire Company to extend their liquor license to allow for the option of an outdoor cocktail hour for wedding receptions held at the Red Clay Room. There was also a lengthy discussion about the placement of signs in the borough. Braffman proposed a resolution that would seek an end to gerrymandering in Pennsylvania, noting that Pennsylvania is the 10th most gerrymandered state. 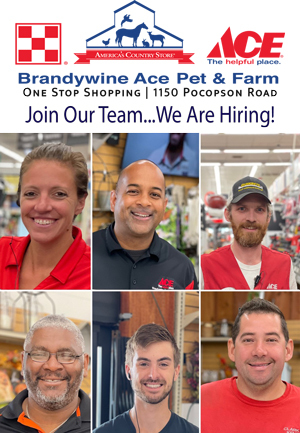 The resolution calls upon every elected official who represents voters in Kennett Square to publicly support and work for passage of that legislation. After some debate among council members, it was proposed that borough solicitor Marc Jonas review Braffman’s resolution for further discussion at a future council meeting.